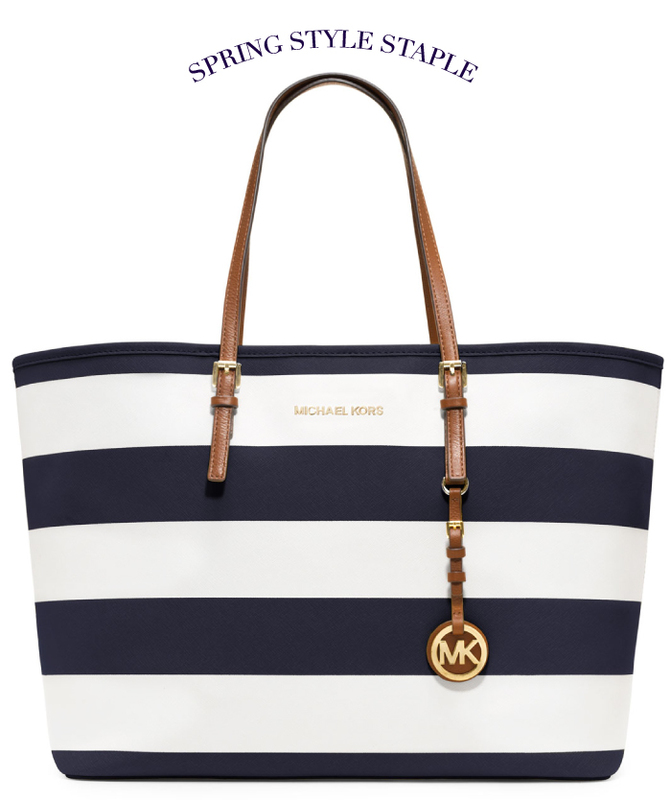 Something I wish I had seen before leaving on my trip is this MICHAEL Michael Kors striped tote. The color combo would go with everything and the shape is perfect for everyday wear. It’s nautical without being cheesy and would look great on any- and everyone. The simple silhouette and striped look make this a classic, keep-forever piece. Get this fab new favorite here! I love this tote! The stripes with the gold detailing are so elegant! I love the style of that bag. I saw it at Nordstrom this week, but I just wish his branding wasn’t all over the bag! Drives me nuts.